Electronica has been divided into multiple different sub-genres since its birth; trance, house, dub-step, chiptune, jungle, etc. These classifications possess within themselves even larger lists of sub-sub genres. Oy vey. Naming the genre in which a band sits with hyper-precision gives music snobs their jollies for the same reason that football fans feel the incessant need to convey that they know why a particular offensive play worked against a particular defense. Luckily, there exist bands like The Chain Gang of 1974 that stylistically hybridize their music in ways that leave these supercilious chums in chagrin. Kamtin Mohager, the band’s sole member, struggled for a long time perfecting “White Guts,” effectively pouring all of his being into it. Finally, with the help of Southern Belle’s Isolm Innis, he was able to record copies of songs he could be proud of. Proud he should be. The breadth of the final product coupled with the quality of each of the songs makes for a hell of an album. Mohager’s skills as a bassist, which got him gigstouring with 3OH!3, plays a predominant role in many of the songs. In “Devil is a lady,” he heavily distorts it against a steady drum beat; in song “Funk Giants,” he lays down a clean, funky bass-line that one would be hard pressed to resist bobbing their heads to. The first track on the album, “stop,” combines the most interesting elements of instrumentation. At points the acoustic guitar track dominates the groovy song. That, combined with the David Byrne-esque vocals, makes for a true homage to the Talking Heads; but then the explosive sound of the synthesizer emphasizes the beat of the drum machine that had been rolling the entire time, pleasantly surprising the listener. The homage to David Byrne has now become Mohager’s own. A truly comprehensive analysis of this album cannot possibly be given, for each song possesses elements absent in the rest; but common themes do run through them all. Heavy reverb plays a role in many songs on acoustical instruments, such as a piano or a cowbell. A simple drum beat stays steady throughout all the songs, supplemented when necessary by other devices (the cowbell, for example). Most of all, though, each and every song finds an innovative way to compel the listener to obey their compulsion to get up and dance. 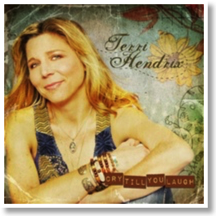 Texan Terri Hendrix’s contemporary folk style, setting a combination of blues, pop, jazz, country and folk to a breathy, sensual vocal delivery, has earned her critical respect in Austin and San Antonio (and a national Grammy for co-writing the Dixie Chicks’ “Lil’ Jack Slade”). Her command of singing, songwriting, arranging, and skills on the acoustic and electric guitars, harmonica, papoose, keyboard and mandolin (and on top of that, being a record label owner) demonstrate a multifaceted talent, qualities that grace her tenth studio album Cry Till You Laugh, produced by Grammy winner Lloyd Maines. “Wail Theory,” which meshes the Dorothy Parker poems “Wail” and “Theory,” introduces the album. Hendrix arranges the tune and sings a cappella, trading off with an inspired harmonica to recite a bitter message belied by her sugary but never saccharine voice. “Slow Down,” co-written with Maines, picks up the pace with mandolin, a trip hop loop and country ambiance. “I wake up on the other side of the Berlin Wall…newfound freedom is but a cage” is a chilling message that resonates in “The Berlin Wall” (it could do without the “ah’s,” however), and the vibrant “Hula Mary” is Caribbean-spiced with a Bo Diddley-influenced rhythm. The epicenter of the album, “Automatic,” is caressed in smoke-light folk-jazz, which will remind some of ‘70s-era Carole King. The way Hendrix decrescendos in “the automatic, democratic, chromatic, acrobatics of the blues” is lovely, with the elongated “blues” resulting in a honey-dipped croon. “Automatic” also has an underlying strum and a few vocalizations that evoke feelings of Jewel’s classic “You Were Meant for Me.” Such a jazzy, folk-influenced affair is revisited on the plodder “Sometimes,” which describes people loving you despite your mistakes. Cry Till You Laugh is well-put and carefully balanced. Folk-rooted but displaying a myriad of musical styles and textures, it indeed has its bitter and serious moments and feelings that bring laughter and content. And it all works; there is no filler and no rehashing of songs. In an interview, folk songbird Rebecca Loebe described her music as “post-modern, acoustic indie-folk punk,” while her website lists it as “post-brontosaurus indie/folk crunk,” a meaningless construct delivered with a wink. In the same interview, she explains that “It’s not Woody Guthrie. It’s a modern pop approach.” Despite her wry approximation of her music, this is an artist that dresses her craft in detail from the hand-folded origami fortune teller that houses the liner notes to the way she whispers into the mic. 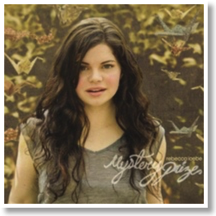 Her third full-length album, Mystery Prize, is a paean to imperfect love. The title track breezes like a typical lovesick waltz: “You’re a peach, you’re a gent, you’re a prince among men…,” the protagonist sings with such assurance. The nuanced production flourishes such as the jubilant piano, and the understated accordion and trumpet also give the song an airy lull. Yet, what sounds like a devotional is actually a confessional of wandering eyes: “But I got my eye on the mystery prize.” No matter the song, the production never overwhelms Loebe’s voice because even when she’s breaking your heart, she wants to make sure her words are crystal clear. The situation is switched for the Atlanta-based singer-songwriter in “Her In That Dress.” The song’s jazzy swagger and Loebe’s sultry delivery doesn’t lure her man from another woman. She sighs, “I can’t compete with her in that dress,” when her personality fails to trump the other’s physical attractiveness. Winner of the Kerrville Folk Festival’s New Folk songwriting contest last year, the album’s most interesting juxtaposition is the festive night-out portrayed in “Redneck Karaoke Bar” and the morning after blues found in “Land & Sea.” Far from a barfly’s lament, the former is a song smitten with a man Loebe meets in the bar, lifting off a bouncy beat. Then a joyous backing chorus of other bar patrons join in Loebe’s dizzying tale of lust. As it winds down though, the song wistfully transitions into “Land & Sea.” Loebe’s first words are “And then I woke up far away…” All of a sudden, it becomes a tale of regret with Loebe armed only with a scattershot memory of last night. Reflecting her itinerary as a touring musician, the album is a palette of different settings and landscapes. The simple acoustic ballad of “California” and “Meridian” (of Mississippi) chronicle her lack of commitment to state (“California, I warned ya, I can’t stay”) and love (“Got a lover who don’t love me, ‘cause that’s just what I deserve”). But the most vivid picture painted, though, is in “Avalanche.” Opening the track, Loebe whispers “It’s a dangerous place.” Loebe sings quietly about the power of a “simple melody,” but then – still in a hushed voice – repeats the word “sing” to provoke a two-minute orchestral crescendo as if to tease the unstable layers of snow above. Despite “Avalanche” showing Loebe at her most earnest, her voice never returns. Dangerous, indeed. The existentialism movement in philosophy strongly influenced popular culture in the 1960s and maintains relevance to this day. Its emphasis on the subjective experience of what it is to be a human being piques the interest of artists of all trades, whether they be those who convey their art through a canvas, a camera, pages in a book, or lyricism and instrumentation. Sartre, a purveyor of the movement, emphasized consciousness as the most important aspect of our existences, saying that it gives us radical freedom to either choose to accept our future possibilities as up to us or delude ourselves into believing in some set of facts (facticity) that decides our futures for us. 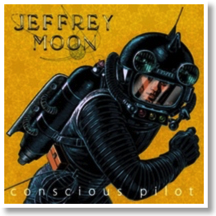 “Conscious Pilot,” the title of Jeffrey Moon’s debut album, puns the name of Pontius Pilate, who claimed to have no choice in the crucifixion of Jesus Christ, the Christian Savior. Pilate’s claim, to Sartre, mistakes facticity for his radical freedom. Pontius Pilate is a “Conscious Pilot” of his future, as Moon deftly observes. Released during the summer, the album exhibits an existential journey not only through lyrics, but also through the music itself, containing discernible influences that ranges from jazz to country and touches on almost everything in between. He’s not one to pigeonhole himself. Moon’s unassuming voice results from his philanthropic background. Besides his rigorously comprehensive musical prowess, which spans twenty years of composition and performance, he has a Master’s degree in Clinical Social Work, with which he created a non-profit agency at the age of 22 that paired artists with foster-care children. This altruistic dedication must have influenced his lyrical perspectives of optimistic introspection. The album opens with the song “Wait to Leave,” a tense exposition about waiting overnight until a decision is made about a fight precipitating over “too much wine.” Its stratified sound, thematic of the album, results from each instrument synergistically supplementing Moon’s nylon-stringed guitar, with punchy percussion clarifying the Latin-jazz influence from which the song derives. The song “Say You Will” offers a jazzy flair more in the American tradition, with slowly undulating lyrics that contrast with a quickly moving 3/4 time signature. The title track paints a science-fictional picture of the world in which “the price of spaceships went down / people exploded into space / leaving nothing behind / tethered only to our faith.” Choice in perspective and acknowledgement of future possibilities play an important role, lending to the album’s existential theme: “Just tell me the moon is cheese and we’re one big cracker.” Some of his melancholic songs, like this one, match the musical tone with the introspection of the lyrics and call for such changes in perspective. The melancholy never sits alone in his songs, but rather seems to be treated as some catalyst for change. In “Ladybird,” Moon uses the colloquialism “on the fence” and adds that “you’re on the runway” as well. This changes the perspective from “being torn between two sides” to “being at the point at which one decides,” further evidencing Moon’s categorical optimism. The Canadian-based and internationally popular ARC (Artists of the Royal Conservatory) Ensemble’s third project Two Roads to Exile, from their critically acclaimed Music in Exile series, is taken under the production auspices of Grammy honoree David Frost and thematically emphasizes classical music performers that deserve greater recognition. This time, two pre-World War II German composers, Walter Braunfels and Adolf Busch, are spotlighted. Despite Hitler proclaiming the other Adolf as “our German violinist,” Busch left the country to seek a peaceful life in Switzerland and eventually settled in the United States. Braunfels, half-Jewish but a practicing Catholic, however, chose to remain in Germany despite the constant threat of deportation. So while both performers chose different paths of exile, they share the commonality of having certain works affected by a period of political upheaval, chamber works that are challenging and now are now being given a better chance to be heard. Two major string-laden sections from both composers adorn the record. 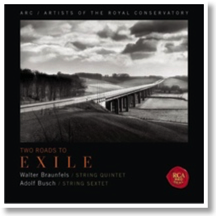 The first four pieces from Two Roads to Exile are by Busch and are performed in string sextet consisting of two violinists, two violists and two cellists. The last four works are by Braunfels and played by a string quintet. Adolf Busch’s Sextet for String, Op. 40, premiered in 1928. Great sonic string and virtuosic harmony caress the four pieces. Walter Braunfels’ F sharp minor String Quartet, Op. 63, took life in 1945. The string quartet here also exhibits fine and fluid musicianship. Both of the composer’s sections are lively – thanks to the high notes of the pre-eminent violin, the difficult-to-play viola’s middle range notes and the more soulful and warm cello’s low notes, all working off one another to create string-swathed masterpieces. There’s more to the Austro-German classical music world of Bach, Mozart and Beethoven, and while Busch and Braunfels aren’t nearly as known, both composers did possess magnificent talent that deserves to be re-examined. The theme here is that despite whatever background and geographical location one comes from and adheres to, the power of music can bridge the divergent roots to engender an art far greater than the sums of one individual. And that’s what makes the ARC Ensemble’s Two Roads to Exile and their series work: the theme of inspired musical craft set to the theme of different roads to exile that actually converge when the roads are even again. Make no mistake, Bloom Cheek sounds and feels like a proper album. 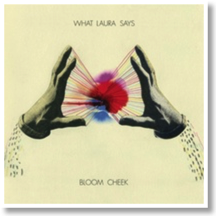 Clocking in at 55 minutes, What Laura Says’ second full-length has its fair share of excesses, albeit in mostly understated melodies that don’t try to overwhelm the listener. Ideas are dropped for a two-minute minimalist piano outro in one song while the band works its way through a ditty on another. Minutiae in the arrangements from hand claps to an array of found sounds reveal themselves after repeat listens. The band also explores genre variety, as songs bleed into one another in a series of musical signposts. While the band members may have a decidedly psychedelic rock sprawl, they also take the time to draw inspiration from the soul funk from the likes of Sly Stone. And yet, the record’s true anchor is the sense of playfulness and pop allure provided by the band’s mellifluous vocals and harmonies. Good vibrations all around. Opener “Training” fades in with shimmering guitars before delving into a motoring groove that refuses to let up. For the vocals, the guys all harmonize on the last word of every couplet while a four-note guitar progression elevates the song. Whispery “ah’s” and a sitar that appear at the end continue into “On the Fence” where the falsetto vocals are even more effective. Things do slow down with the titular track, a Rhodes-driven song that leisurely ambles through ethereal “oh’s” with a chorus just as effervescent. Taking a cue from The Zombies or The Beach Boys, the lyrics, more often than not, communicate less with what’s being said than how the words are sung. The album’s first trio of songs unveils how deliberately paced the album is, how meticulously it unfolds as it progresses. Then, somewhat jarringly, some hard left turns are made. “Lines and Colours” is buoyed with a jubilant piano line before it suddenly stops for a two-minute piano interlude that segues into the blues romp of “Gardener of Wonder.” As the album’s most unexpected juxtaposition, it’s a reminder of the album’s ebb and flow over a smattering of textures and styles. A handful of other songs take similar detours that may detract from the action, but it’s also an indication of the band’s willingness to experiment. The instrumental “Grocery List” has the crunchiest guitar work on the album. The ’70s guitar riffs are unapologetically brazen and the skittish percussion make “Grocery List” a welcome delight despite being bookended by two subtler tracks. Even without the band’s characteristic harmonies, the album succeeds. 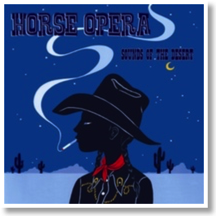 Drawing inspiration from the low-down, honky-tonk way of life, Horse Opera delivers a set of country songs that seek to satisfy the most avid of country fans with their new release, Sounds of the Desert. Using traditional instruments, including the steel guitar, as well as using traditional country themes in their lyrics, they paint a clear portrait of a country landscape that is both authentic and powerful. Songs like “Save My Tears” and “3 To Closing” will remind listeners of the famous honky-tonk scenario of a man drinking his blues away due to a two-timing woman. 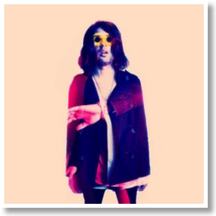 Jimmy Deveney’s vocals command not only a close listen, but deep introspection into various themes taking place within the songs, including love, religion and looking ahead to life’s many possibilities. What makes this a good album is the fact that the group sticks to traditional country music, rather than seeking to add sonic revelations to their sound. The closing track, “Best Day,” will remind listeners that traditional country music is most likely the best kind of country music there is.